The TMF model’s pitched flashing helps capture daylight from any roof facing, while its flexible tube features a ring with a mirror finish just below the dome to reflect light from all angles. The flexible design of the tunnel also makes the TMF model easy to bend around attic obstructions. 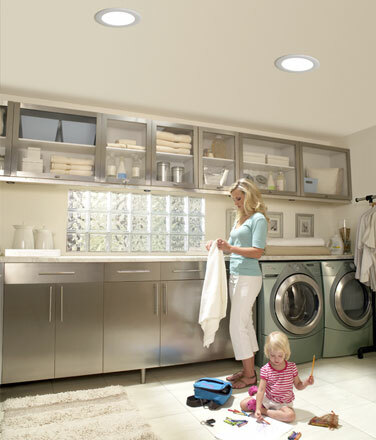 The SUN TUNNEL skylight TMF model comes with a pre-assembled ceiling ring and paintable ceiling trim ring to seamlessly accentuate any room. Installation is quick and easy and can be completed in just two hours. It also features a dual diffuser that reduces the chance of condensation, increases energy efficiency and provides even light distribution. Domes are available in standard acrylic or high-impact polycarbonate for hurricane prone areas, while the ZTL 114 electric light kit easily turns your SUN TUNNEL skylight into a nighttime source of illumination. With its low-profile flashing, the TGF model features an integrated fit with your roofline and is ideal for southern exposures. Its flexible tube features a ring with a mirror finish just below the dome to reflect light from all angles, and the flexible design of the tunnel also makes the TGF model the easiest tubular product to bend around attic obstructions. The SUN TUNNEL skylight TGF model comes with a pre-assembled ceiling ring and paintable ceiling trim ring to seamlessly accentuate any room. Installation is quick and easy and can be completed in just two hours. It also features a dual diffuser that reduces the chance of condensation, increases energy efficiency and provides even light distribution. Domes are available in standard acrylic or high-impact polycarbonate for hurricane-prone areas, while the ZTL 114 electric light kit easily turns your SUN TUNNEL skylight into a nighttime source of illumination.